As a penance for terrible sins committed in a moment of insanity, the mythical hero Hercules was required to perform ten great labours – extended to twelve after he cheated on two of them. Similarly, David Cameron has today pledged to insist upon major changes to the rules on free movement of EU citizens, failing which he will advocate Britain leaving the European Union. He clearly considers this necessary in light of the political sin of failing to meet his earlier promise to hugely reduce the amount of migration to the UK – which was, in hindsight, made in a moment of political madness. Cameron’s commitments will not be easy to meet, for the reasons I set out below. I have broken them down into a list of specific commitments. I leave it to the classicists to match each of them to Hercules’ tasks. If no changes to EU free movement law are made, the Prime Minister implicitly suggested that he would campaign for the UK to leave the EU. He did not state that he would insist upon all of his suggested amendments being agreed. So it is important to assess how realistic each of these proposals is. A crucial factor in determining what is politically realistic is the nature of the current EU legal rules. Where Cameron’s proposals reflect the status quo, they are obviously realistic. Where they would require EU legislative change, they will require only a qualified majority of EU Member States in favour, plus a proposal from the Commission and agreement of the European Parliament. But where would need an EU Treaty amendment, they would have to be agreed by all Member States and ratified by each national parliament. That isn’t impossible, but it won’t be very easy; and it means that Cameron will more likely have to compromise on the proposals made today. What about the other political parties? UKIP, of course, wants the UK to leave the EU. The Liberal Democrats generally support benefit reforms, and the Labour party’s policy, as announced recently is broadly consistent with Cameron’s proposals. The difference is that the Liberal Democrat and Labour parties do not (or not yet) support a referendum on continued UK membership of the EU. 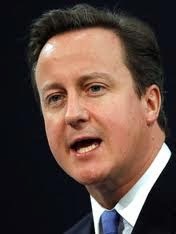 As can be seen from the detailed comments below, most of Cameron’s specific proposals will require a Treaty amendment. I have elaborated on some of the points made below in my recent blog post on the legal limits on the amendments to EU free movement law. For EU citizens who are not workers, work-seekers or former workers, this confirms the status quo, as set out in the CJEU’s recent ‘benefits tourism’ judgment in Dano (see discussion of that judgment here). For EU citizens who are work-seekers, the free movement of workers in the Treaties (as interpreted by the CJEU) requires Member States to give them access to benefits linked to labour-market participation. These benefits would probably not be covered by that rule. So this confirms the status quo. For EU citizens who are workers (as defined by the Treaties and CJEU interpretation) or former workers (as defined by EU legislation, and the CJEU interpretation of the Treaties), there is a right to equal treatment as discussed in my prior blog post. So this change would require a Treaty amendment. For EU job-seekers, the EU legislation states that they cannot be expelled as long as they ‘can provide evidence that they are continuing to seek employment and that they have a genuine chance of being engaged’. This reflects the case law of the CJEU, interpreting the Treaties (Antonissen judgment). Therefore this change would require a Treaty amendment. Currently EU citizens can bring with them their spouse or partner, the children of both (or either) who are under 21 or dependent, and the dependent parents of either. (As an exception, students can’t bring their parents with them – but it’s rather doubtful that many students would want to do that if they could). This applies regardless of whether the family members are EU citizens or not. In 2003, in the judgment in Akrich, the CJEU ruled that Member States could insist that non-EU family members had previously been lawfully resident in the Member State concerned (previously no such rule appeared to exist). But in 2008, in Metock, the CJEU overturned this ruling and said that a prior legal residence requirement was not allowed. This rule could possibly be overturned by EU legislative amendment, but it is possible that the CJEU would find that for those EU citizens whose rights are based on the Treaties (workers, job-seekers, former workers, self-employed persons, students), such a restriction was a deterrent to free movement, so a Treaty amendment might be needed. In fact, Cameron’s speech appeared to suggest that all non-EU family members of all EU citizens would have to be subject to the same restrictive income and language requirements that apply to UK citizens who seek to marry non-EU citizens. This would clearly deter free movement of those EU citizens who have non-EU family members, and would surely require not just a legislative amendment but a Treaty change. These changes would therefore probably restrict the possibility of UK citizens to obtain family reunion by going to another Member State to be with their family and then returning, ie the so-called Surinder Singh route. This assumes that re-entry bans are possible at the moment for such persons. That’s clearly not the case for rough sleepers and beggars: Article 15(3) of the EU citizens’ Directive states unambiguously that a ban on entry cannot be imposed where a person was expelled for grounds other than public policy, public security and public health; and Article 27(1) states clearly that such grounds ‘cannot be invoked to service economic ends’. This rule could possibly be overturned by EU legislative amendment, but it is possible that the CJEU would find that this would constitute a disproportionate restriction on free movement for those who were entering to obtain work later. So a Treaty amendment might be needed. For those convicted of fraud, they would arguably have been expelled on grounds of public policy, public security and public health. In that case, entry bans are allowed, but EU law does not set absolute upper limits on the duration of those bans. Instead, Article 32 of the citizens’ Directive merely sets out a right to challenge them. So in principle longer and stricter entry bans for fraudsters are possible, as a matter of national law, under the status quo. However, if Cameron wants to make sure that they cannot be challenged successfully in individual cases as a disproportionate limit on free movement rights, a legislative amendment or Treaty amendment might be necessary. Currently, as well as possible expulsion for not meeting the economic criteria for free movement, EU citizens can be deported if they are a ‘sufficiently serious threat’ to public policy or public security. Expulsion decisions must be made on a case-by-case basis and a criminal conviction cannot automatically lead to expulsion. In principle, there is a higher degree of protection against expulsion for those who have got permanent residence status (due to living in a Member State for more than five years) or who have lived in that Member State for more than ten years. However, the CJEU’s case law has somewhat undercut that extra protection in practice. Any changes to the rules on deportation after a criminal conviction would require at the very least a legislative amendment. It is likely that they would also require a Treaty amendment, since the protection against removal on grounds of public policy, public security or public health is set out in the Treaties for EU migrant workers (Article 45(3) TFEU). The details of each new Member State’s adaptation to EU law are set out in each accession treaty, which has to be approved by each Member State. The UK would be in a position to veto any future accession treaties unless longer waiting periods for free movement are included. So this is entirely consistent with the status quo. EU legislation says that EU citizens can stay for three months as long as they have a valid passport and do not apply for social assistance. After that point, they can stay if they are workers, self-employed persons, students or otherwise have sufficient funds. Also they can stay if they are a job-seeker, subject to the proviso (described above) that they have a genuine chance of getting work. So this proposal would require a legislative amendment. In fact, it would also require a Treaty amendment, since the CJEU has said (in Antonissen) that the Treaty right to free movement of workers also applies to job-seekers, giving them the right to enter and stay in a Member State to look for work. If such an amendment were made, it would clearly be unfeasible in practice, since it is not realistic to check at the border or before getting on transport if all EU citizens have job offers, considering also that there are many other legal reasons for EU citizens to come to the UK (short-term visits, self-employment, for study, or self-sufficient stay). The EU legislation already rules out social assistance for job-seekers, so this reflects the status quo. However, the CJEU has said that job-seekers have a right to access benefits linked to labour market participation, if they have a link already with the labour market in question. While David Cameron suggested that the UK’s future Universal Credit would not fall within the scope of the CJEU’s case law, that would likely be challenged in practice. So a Treaty amendment is likely necessary as regards current rules, and possibly necessary as regards universal credit. Non-payment of child benefit to children living in other Member States is arguably indirectly discriminatory, since it affects more non-UK nationals than UK nationals. Since the equal treatment of workers is guaranteed by the Treaties, a Treaty amendment would likely be necessary to put this change into effect as regards workers’ family members. Well proposal/labour #2 and proposal/labour #7 are contradictory. If EU migrants need to a job offer before coming to the UK how can you then have a rule that allows for the removal of EU job-seekers if they don't have a job after 6 months? Clearly if every EU migrant had a job offer before coming to Britain then there would be no job seekers to remove/expel after 6 months. If this was just political grandstanding then it only sets unrealistic expectations for voters who will become more irate at broken promises. If it was designed as a position that can be easily disposed of in EU negotiations then it also sets voters up for broken promises AND will only put off other EU members who may have been inclined to negotiate with good will. Of course simply restricting benefits on the grounds of nationality is quite impossible under the Treaties. But perhaps this is more a task for Odysseus than Hercules as there is nothing preventing the UK changing its own benefits legislation for example to include criteria based on length of residence in the UK, or even introduce some sort of contributory principle. Such conditions are not unusual in other Member States, and as everyone is then treated equally and subject to the same conditions there is no discrimination. The ECJ decisions on support for students that are sometimes quoted do not really seem any barrier in view of the prevalence of restrictions on general welfare benefits and the lack of challenge to them. As far as removing unsuccessful jobseekers goes, it is of course for the national authority to form a view of whether someone is continuing to seek employment and has a genuine chance of being engaged. In the UK's vibrant labour market it might well not be unreasonable for the national authority to conclude that if someone has been seeking employment for six months and has still not obtained employment, then they have little genuine chance of being engaged. Yes Cameron could change the benefits system instead. But that's not what he proposed. The current protection for expelling job seekers comes from the CJEU interpretation of the Treaty. The entire 'European debate' in the UK is simply a pointless exercise in fantasy. As is obvious from this analysis, at no point, from the Prime Minister on down, is reality, or legal facts on the ground, ever allowed to enter. Speaking as an EU citizen who is not, thankfully, British, I would just ask you to hold your referendum, and go on your way. Most of the rest of the EU is fed up to the back teeth with the endless whining, prevarication, demands for special treatment or exclusive deals, which flows in oceanic quantities from the UK. If you cannot get over the loss of the Empire, that is your problem, not ours. Deal with it, cease with the eternal, toxic, nostalgia, and try and join the rest of the world in the 21st Century. Well said MacTurk - and I'm British. However, Britain is still languishing in the 19C when it did get its own way with gunboats; and in the 20C with Thatcher. You see, we expect to get our own way because we have had so much success in the past and so we expect the trend to continue. We have small-country-syndrome and with backing from the USA we have been able to continue to indulge our fantasies. Cameron may get lucky or he may get a rude awakening but with UKIP rattling his cage he feels that he has got to try. This analysis seems predicated on the UK making no changes to its benefit system. Take Child Benefit for example. This is currently paid to adults who have responsibility for a child, and hence would be discriminatory if it was changed to be paid to adults who have responsibility for a child living in the UK, or who is a UK national. However if the benefit were paid so that a parent was only eligible when the child lived with them at their primary residence then it would meet the EU rules, avoid payments in respect of non-resident children (apart from perhaps a small number of cross border commuters), and have very limited impact on UK citizens. The analysis is predicated on the UK making no changes to its benefits system, because David Cameron suggested no such changes. I am only analysing the proposals he actually made, not the other ones he could possibly have made (of course, he might alter his proposals when and if negotiations get underway). As to child benefit being payable only to children who live with their parents, residence rules like that are indirectly discriminatory because they are easier in practice for UK citizens to satisfy than foreign citizens, so more citizens of other Member States than UK citizens will lose out. For instance, in the O'Flynn case the CJEU ruled that a residence condition for a funeral benefit (ie only giving a benefit where a deceased person was buried in the UK) was indirectly discriminatory. In Commission v Luxembourg it ruled that giving maternity benefits only to those who had resided in Luxembourg for a year before their baby was born was indirectly discriminatory. And so on. Surely the UK would have to make some change to benefit legislation to exclude migrant workers, so to my mind the question is whether this can be done in a way that complies with treaty obligations. The two judgements you cite do differ in that they applied to laws that included a requirement that some activity (be it residence or burial) take place in the UK as distinct from another member state. My suggestion on Child Benefit would not include any such requirement, and would apply equally to UK citizens who live apart from their dependent children. In the case where the dependent children reside in the UK, the worker's child's primary carer would generally be able to claim child benefit, but it would be a significant legal precedent if the income of a dependent's carer was considered relevant to entitlement to benefits. David Cameron's speech was based on the assumption that the benefit changes he wants to make would entail a renegotiation of EU law. I agree that there's a subtle difference between a rule about residence on the territory and your suggested rule about residence with a parent. But the outcome is likely the same, in that more non-UK citizens than UK citizens would be affected by the rule. So it would be indirectly discriminatory, and I think that would be hard to justify given that the intention of the benefit is to combat child poverty. I think the UK might be able to try to defend a policy of paying child benefit at reduced rates where the children live in countries where costs are lower, arguing that it was still combating relative child poverty in those cases. But I wouldn't bet a lot on winning before the CJEU. Incidentally, UK child benefit has been dependent upon a parent's income for several years now. On a point of fact, UK Child Benefit is absolutely not dependent on parent's income. There is a recent provision where it is progressively clawed back through taxation where one parent has a high income (over £50k), but it can still be claimed. Child Tax Credit is similar and is means tested, but it is not the same benefit, and govt statistics show a much lower sum being claimed in respect of children in other member states. Anyway, I am very interested in the point about indirect discrimination. Does this mean that no change can be made to any member state's benefit system if it would disproportionately impact migrant workers, even if there was no question that this was the intent? If so, does this mean the UK would not be able to move to a more contribution based system? However only one person can be paid in respect of an individual child, and there is a detailed set of rules as to who is paid if more than one person claims. My suggestion would be to remove the second grounds for entitlement, on the basis that it is open to abuse and increases the cost of administration, and as such has a negative impact on child poverty given both directly and indirectly as a result of there being a limited amount of government funding to spend on the payments and administration of child benefit. Looking at the regulation 883/2004, there is nothing in there that states that Family Benefits must be paid to migrant workers, only that their entitlement is "as if they [family members] were residing in the former member state [the UK]". If the rules say you cannot claim for children that you don't live with, then surely the UK would be in compliance as long as it didn't allow payments to non-resident parents whose children were libing in the UK. Would you say that this would still fall foul of rules on indirect discrimination, and if so under what regulation? As an ex- Whitehall civil servant, I still believe that most of the UK's issue with EU law is that we are far too conservative (with a small c) about how we could frame our own legislation such that we could get the policy we want while complying with our treaty obligations. Come on now. If one parent earns more than £50K, they receive less child benefit, and if that person receives over £60K in income, they get no child benefit at all. Whether it's claimed and then clawed back, or (in most cases, I believe), not claimed in the first place, is immaterial. The result is the same: the parent gets less or no child benefit because of the parent's income. So denying that child benefit is dependent upon a parent's income is sophistry; and it's also quite irritating to those of us who no longer receive the benefit. You can defend the change if you like, but don't deny that it's happened. I'm well aware of that change - it came in while my wife was on maternity leave with my second child, so took a big and unexpected chunk out of our disposable income - your reference to "several years" made me think you meant something else as this change only took effect from Jan 2013.
outside France arises essentially for migrant workers", which wouldn't be the case with my suggestion. Now it could be argued that the indirect impact of my proposal would be indirect discrimination, but I think that would be stretching the concept of indirect discrimination a little far. Could you imagine a ruling such as ""the problem of members of the family residing at a different address arises roughly equally UK national and migrant workers, but the consequent problem that their family can then only claim a lower amount of child benefit under their local system of social security which has a lower cost of living, arises essentially for migrant workers"? If this were the case, then surely a similar argument could be applied to Housing Benefit, i.e. should a low-income migrant worker be able to claim housing benefit based on the total cost of their room in the UK as well as their families home in another member state? Is there evidence as to how many citizens of other EU Member States would be affected by your proposed change, as compared to citizens of the UK? The application of indirect discrimination rules in cases where the difference between the categories of persons being compared was not huge was discussed by the CJEU in the Seymour Smith case. In any event, your suggestion isn't what Cameron is proposing (for now). Oh my days Mr Steve Peers...can't we tell youre not British? Wanting to protect the future economic security of ones country shouldnt be a crime! I have enjoyed many friendships with people of all cultures over the years, either through work (back in the days when there was enough jobs to go around) or social meetings and believe that variety is the spice of life-as humans we are all equal no matter where we are from. But the fact is, when it comes to our homelands wealth, we are far from equal. Other EU countries may well have the same laws regarding benefits, etc but I doubt id get a house and decent weekly payments to keep me going. If so, maybe us Brits would be the one's doing the re-locating and it would be the Polish or Latvians complaining? NHS is so stretched because we're funding EU citizens. My childrens schools are fit to burst and dont get me started on the bill for interpreter's needed for non English speaking student's! If all this was readily available in other EU countries I would have no complaints; I'd emigrate! But they don't, which is why peeps flock here in the thousands. And it may seem dated to believe in keeping Great Britain 'great', but I had relatives who died trying to help other countries protect their heritage. Why is it wrong to look after our own? Er, first of all I am a British citizen since birth. A resort to ad hominem comments is a sure sign that you don't have a valid argument. No one group of people has a monopoly on Britishness. Are you suggesting that the 87% of voters that did not cast a ballot for UKIP are not truly *British*?. Secondly, you haven't comprehended the very nature of the discussion above, which is solely about the legal feasibility of Cameron's proposals, not about whether they are desirable or not. But as to those merits, the arguments for British economic security all point in favour of migration of EU citizens to the UK, which has been a significant net benefit to the UK, as a study for UCL last year pointed out. And there *are* significant numbers of UK citizens who move to other Member States, not vastly different from the numbers from other EU countries that come to the UK. The NHS was overstretched in the 1990s already, well before the increase in numbers coming to the UK from newer Member States. Are you suggesting that the schools were half-empty before 2004? But having said that, I do believe that it's necessary to make some changes to the rules on free movement of EU citizens to address public concerns, although I expect they would not go as far as the changes you would wish to see. I take it you do not think direct discrimination re. the proposal to ban EU workers claiming in work benefits, or indirect discrimination re. the proposal to ban export of child benefit, can be justified as a proportionate means of achieving a legitimate aim? You can see my separate blog post on that from February 2016. I think it is a challenging argument in light of prior case law but the CJEU has never ruled directly whether it would be valid to change EU legislation along the lines of the renegotiation deal.